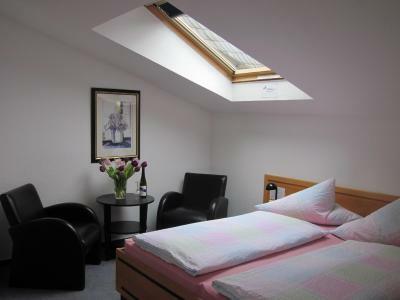 Lock in a great price for Hotel Anlage Heidelberg – rated 8.8 by recent guests! 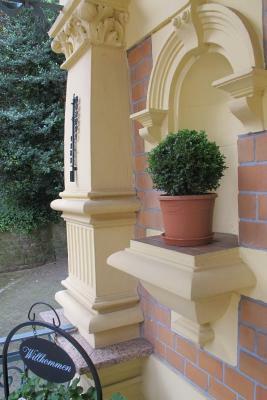 Perfect location for exploring Heidelberg, with on-site parking available. 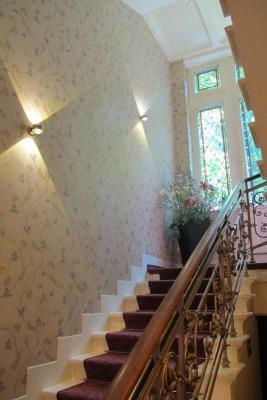 It was in a quiet location, ans still only a short walk to the main pedestrian area of the town. Overall, staff was friendly and supportive. Room cleaning fast and timely. Old characterful house managed by a charming team. The only time on a long tour when we had assistance with our luggage. 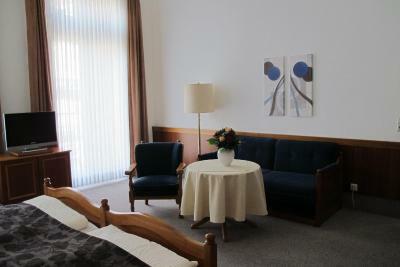 We had a most spacious room with a separate sitting room and even a small balcony. Despite its prime location the price was remarkably low and the owner refused to charge for parking our motorbike. Unusually, breakfast was not a self-service affair and instead everything was brought to your table including freshly cooked eggs to order. Wonderful family run hotel. Great location! Great people. I really like this hotel it's fantastic, except for wifi. Incredible hosts - VERY friendly, helpful, and kind! Great breakfast. Big room. Very clean. Fantastic location. 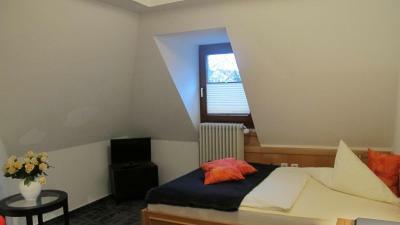 PERFECT stay in Heidelberg. The breakfast is so good. The bread, the butter, the cheese, the juice, everything is so good. 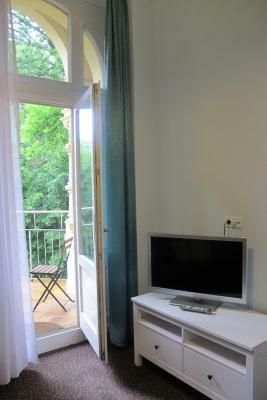 Friendly stuff, spacious room, sufficient breakfast, convenient location,view from room. 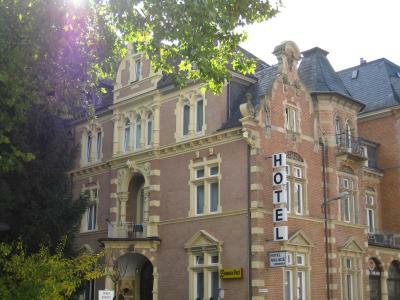 Wonderful, old style, family run hotel close to the Atlstadt. Service was very friendly, helpful and overall terrific. The breakfast was the best. Nice, traditional assortment of food including fresh-cooked eggs as requested. The room was large with very high ceilings (12 ft +). A limited number of parking spaces were available at the entrance to the hotel (for a fee). The staff were wonderful, especially Julian and Leo who gave us great tips on traveling that saved us lots of money. They were exceptionally smart and gracious. They are a big part of the reason I enjoyed Heidelberg. 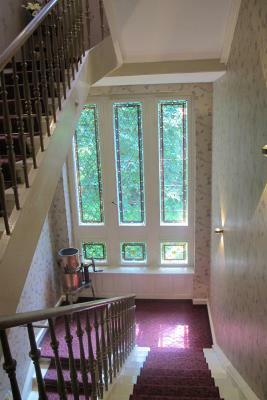 The location is excellent, a short walk to everything you want to see and do. The bus to and from the train station is so simple. The room was spacious and interesting, a unique shape with sloping ceilings and window that opened to pine trees and the lot below. The staff was superb! They could not have been nicer and should truly consider teaching other hotels how to treat guests. They were charming, gracious, smiling, helpful, engaging and honest. They made the stay memorable. The breakfast in the morning was served with the same warm welcome and an abundance of coffee, juice, bread and rolls, eggs served any style and ham. I wish I could extend my stay. I will certainly recommend this one and, hopefully, stay again should we pass through Heidelberg. 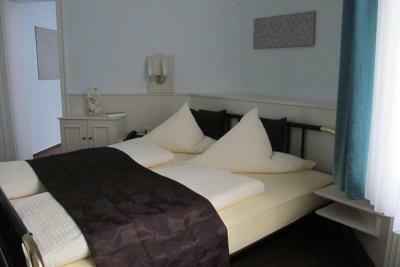 Hotel Anlage Heidelberg This rating is a reflection of how the property compares to the industry standard when it comes to price, facilities and services available. It's based on a self-evaluation by the property. Use this rating to help choose your stay! 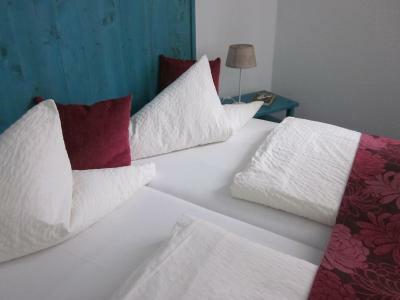 Featuring a terrace, Hotel Anlage Heidelberg offers accommodations in Heidelberg, a 19-minute walk from Heidelberg Old Town. With free WiFi, this 3-star hotel offers a 24-hour front desk. Heidelberg Theater and Orchestra is 1.1 miles from the property. At the hotel, the rooms come with a desk. 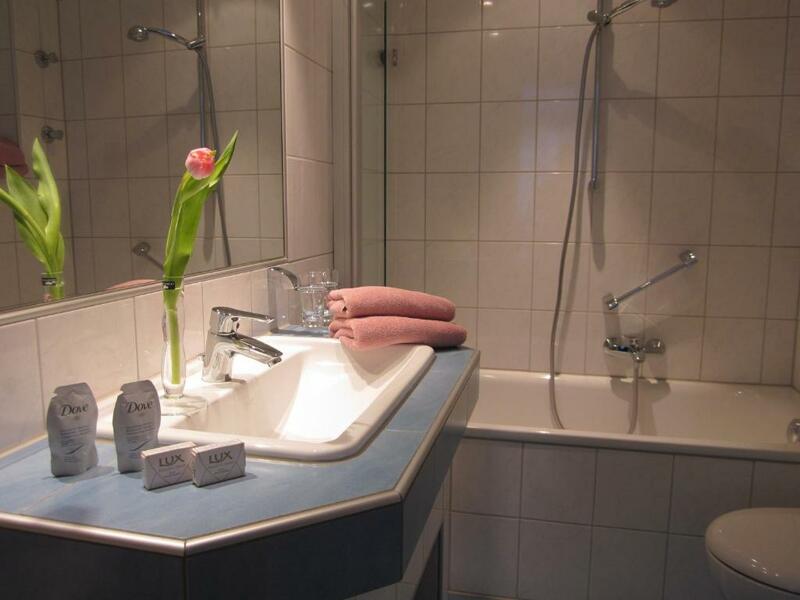 Hotel Anlage Heidelberg provides certain rooms that feature city views, and every room includes a private bathroom with a shower. 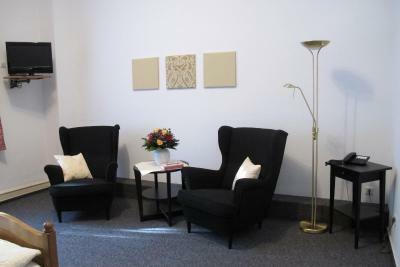 Guest rooms come with a seating area and a flat-screen TV with cable channels. 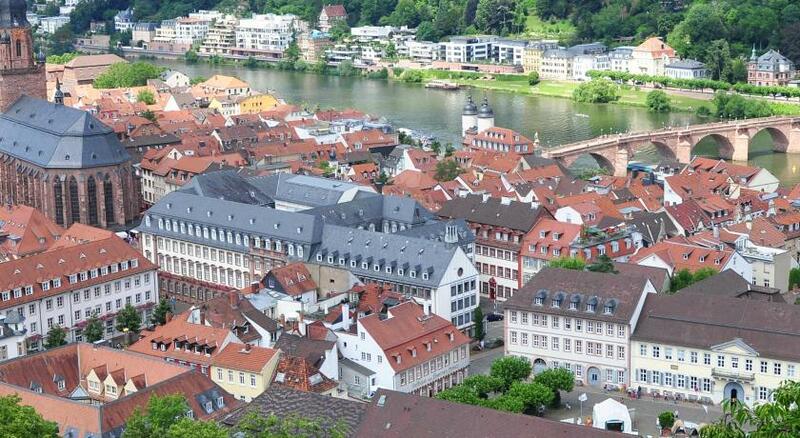 Heidelberg Castle is 1.3 miles from Hotel Anlage Heidelberg. 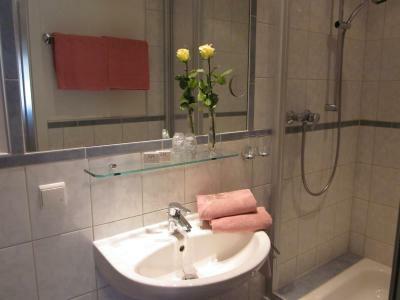 The nearest airport is Mannheim City Airport, 10 miles from the hotel. 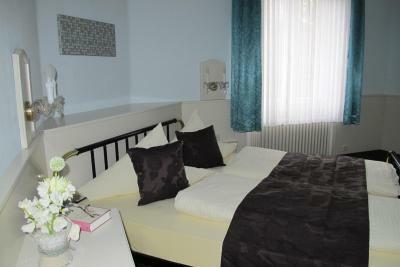 When would you like to stay at Hotel Anlage Heidelberg? 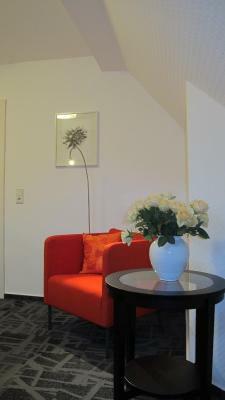 House Rules Hotel Anlage Heidelberg takes special requests – add in the next step! Hotel Anlage Heidelberg accepts these cards and reserves the right to temporarily hold an amount prior to arrival. Wifi can be a bit better, but it's free so I am not complaining. I liked how the room looks like an actual room to live in and not just a room to sleep in. 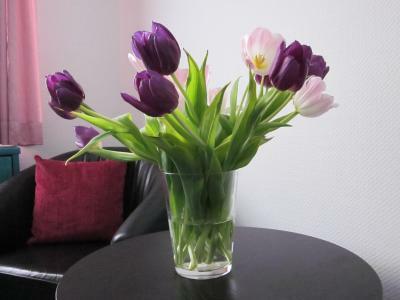 when booking, make sure you check how many occupants are allowed in the room, because in Germany if you book a double room, that doesn't mean it can accommodate 2 people. we got caught on this and it marred the stay a little as there was an additional charge for the other person which wasn't expected. 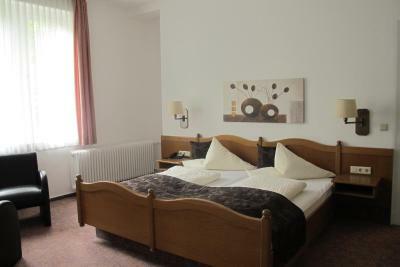 It a traditional german hotel, with old school decor that has a wonderful charm about it. The breakfast was amazing, they provide a wide range of options for breakfast, you certainly wont go hungry. The room was huge, very clean and comfortable. The staff were friendly and very helpful. Thoroughly enjoyed our stay. The staff were great! They gave us great advice as to places to see in Heidelberg and even made a vegan breakfast happen for us. no choice for food at breakfast which is served at the table. I'd prefer a buffet as I don't eat cheese which is always a large proportion of a German breakfast. Really friendly and helpful staff. large room. There is limited parking on site but that is well communicated. Good sized room with all the facilities and very comfortable. The hosts were great and the breakfast could not be faulted. Lovely spacious room. Fabulous breakfast and very kindly staff. 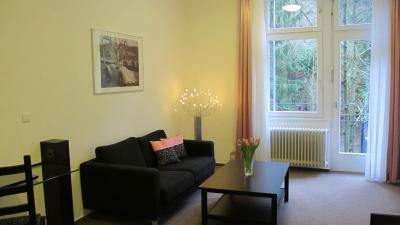 Great location in the Altstadt and main street. As a smoker, I would have appreciated better shady outside sitting facilities but this is not possible due to the specific location. The location was very good for my purpose. The single room was spacious and quite cool in the hot weather. There is an elevator. The breakfast was good and plentiful. Reception manned 24 hours. Friendly staff.